The International St. Croix River Watershed Board was designated by the International Joint Commission as its first international watershed board in April 2007. The Board helps to prevent and resolve disputes over the boundary waters of the St. Croix River, monitors the ecological health of these waters and ensures that four dams comply with the Commission’s Orders of Approval. The Board seeks to involve local stakeholders in resolving local problems. 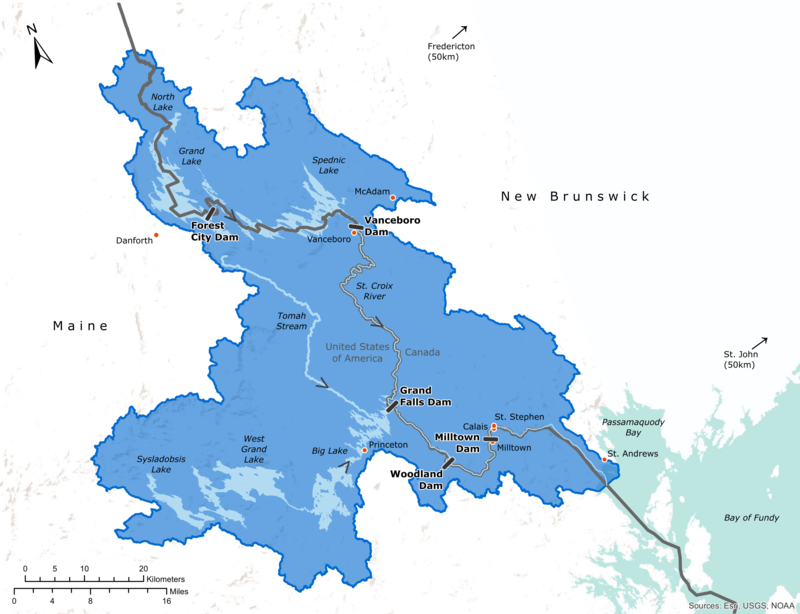 On April 10, 2013, the Maine Legislature passed, by an overwhelming majority, a bill to grant alewife (Gaspereau) unconstrained passage at Woodland and Grand Falls dam in the St. Croix River watershed. Ten days later, on April 22 the law came into effect.